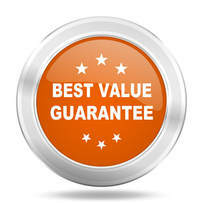 What's our Best Value Guarantee? "We evaluate each job as precisely as possible, and we do everything we can to keep our overhead low - to keep the cost down for you...and we price every project honestly and fairly." Did you know that 70% of homes in the community of Suffolk were built before 1999? This means that you may be getting close to needing your roof replaced. If you are in need of roofers to install new roof asphalt shingles AED has a proven track record. ​We install the GAF Lifetime Roofing System because we believe it is the most durable and cost effective system there is. Plus, it has received the Good Housekeeping Seal of approval. How can you go wrong with that? In addition to roofing, we are experts in beautiful home exteriors. Vinyl siding installation, gutter installation, window replacement, fascia wrapping or trim work, also attic ventilation problems and skylights. We also offer storm damage assessment and restoration. Dec-Tec is a roofing membrane that is used over a deck, to make it walkable and bare feet friendly. It can last for up to 20 years and adds value to your deck. Easy to rinse off and enjoy in all kinds of weather. We have been a trusted name in the home improvement industry for over 10 years. If your home seems a little outdated or rundown and could use a facelift AED Roofing and Siding can handle every phase of your home improvement project - perfectly. Thinking about giving your home a facelift? It's a good time to do it. The products on the market today far outweigh the products you currently have on your home. Just like every industry in the past 15 years, there has been so much development that goes into products that protect the home. ​We are experts in beautiful home exteriors, we have a proven track record and we take the utmost care and precision when installing your roof, siding or windows. We make sure that your products will stand strong for years to come. The products that AED Roofing and Siding provides are durable yet beautiful and energy efficient because we believe that you deserve the best products you can get for your money. But it's not all about the products, it's about installation too. Having experts install your roofing, siding or windows makes a difference, because when it is done wrong, it can void your warranty or even your home insurance. ​The GAF Lifetime Roofing System has received the Good Housekeeping Seal! 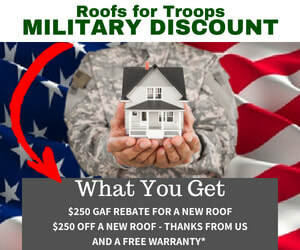 We are proud to provide active and retired military discounts as well as senior discounts! AED Roofing and Siding is a professional roofing contractor serving our community since 2006. We provide commercial and residential roof replacement, repair and restoration, siding installation and repair, replacement windows, Dec-Tec installation and more. © 2016-2018 AED Roofing and Siding. All Rights Reserved.